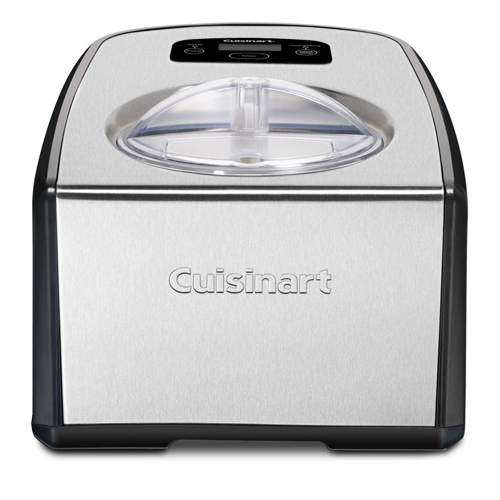 The Cuisinart ICE-100 is ice cream and gelato maker which features a commercial quality compressor freezer. It has separate paddles for both and fully automatic operation with a 60 minutes countdown timer with touchpad controls. The maker provides a blue LCD readout 10-minute Keep Cool feature that keeps ice cream or gelato cool after the timer has gone off BPA Free. The Ice Cream Gelato Maker Compressor has many exciting features for users of all types. See the Ice Cream Gelato Maker Compressor gallery images above for more product views. 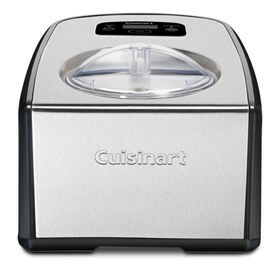 The Ice Cream Gelato Maker Compressor is sold as a Brand New Unopened Item.